Internationally acclaimed architect Richard Meier brings his modernist signature to the New York City Skyline with 173/176 Perry Street, a pair of minimalist transparent towers overlooking the Hudson River in the historic West Village. 173/176 Perry Street is Meier's first building in Manhattan. Set for completion in late 2001, the towers will be heralded as an architectural landmark and considered the centerpiece of the West Side and its new Hudson River Park. For the consummate design statement, residents can experience the architect's total vision through his exclusive interior design plans. The exterior of the building is composed of insulated and acoustical clear glass. The seamless panes provide each full-floor condominium with stunning, panoramic views in a spectacular celebration of light and space, a Meier hallmark. In addition, star chef, Jean-Georges Vongerichten, owner of Vong and his self-titled restaurant in the Trump Central Park Hotel, will create a cafe-restaurant in the lobby of number 176. The area that surrounds 173/176 Perry Street is one of New York's great neighborhoods: the historic West Village. Cobblestone streets still pave most of the roads. Through the quiet streets and lanes, some of New York's finest restaurants, shops, and nightspots abound. 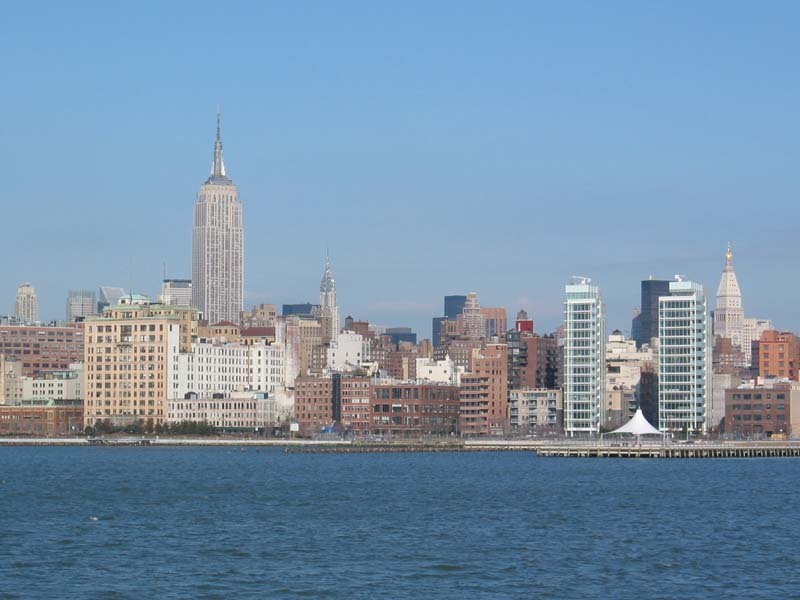 Also, the City of New York has recently completed a new Park along the Hudson River which will serve as the backdrop to the towers. From the panoramic views of city, to the historic neighborhood, the 24 hour concierge, the fitness center, and the high-speed data capabilities, it is no wonder why 173/176 Perry Street will be a landmark for residential living in Manhattan. 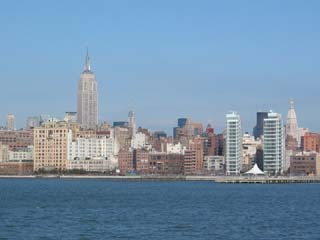 Empire State Building and Perry West condominiums. March 2003. 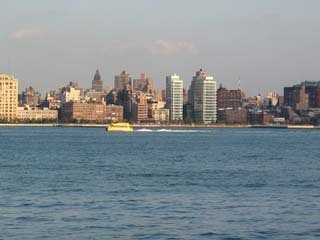 New York Water Taxi and Perry West condominiums. 165 Charles Street is rising next to Perry West towers. 25 December 2004. 165 Charles Street is rising next to Perry West towers. 11 September 2004. 173 Perry St and 176 Perry St towers. 26 June 2004.